It is essential that contact lens users place the products in a solution in order to clean them effectively, one source has pointed out. 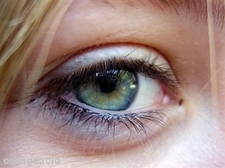 Writing for Helium.com, Lenna Gonya said that it seems obvious to clean contact lenses in this manner, but lots of people fail to do so and maybe placing themselves at risk of infection. She advised users to follow the manufacturer's instructions carefully and make sure they remove the lenses at the recommended times and store them in a brand of solution from a reputable supplier. Ms Gonya added: "Following the rules that your doctor prescribes is essential for your success in wearing contacts and keeping your eyes safe. If there is a specific time required for soaking your lenses before you first wear them, then you should follow the instructions." Meanwhile, according to the ARA, taking care with contact lenses is essential if people are to get the most out of the products and stay safe, with a daily routine important so people remember how to look after them.